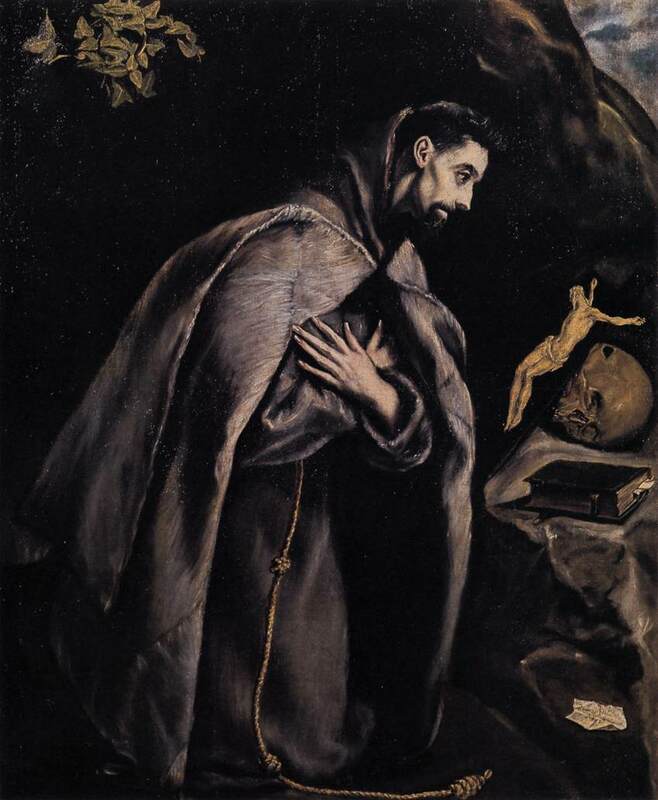 St. Francis of Assisi at Prayer, by El Greco. Which helped me to grasp the appeal of the genre of books which end with “Before You Die” in the title (e.g. “100 Places to Visit Before You Die,” etc.) Given that our capitalist consumer culture exalts acquisition and consumption as our purpose in life, there is a certain demented reasonableness to the idea that we should do everything possible to fill up our remaining years and days with more stuff and more experiences. Not, of course, that I’m in any way exempt from the cultural undertow of life as consumption. As I celebrate my sixtieth birthday this year, I have to resist understanding the happiness of my life and of my future in terms of what I have consumed and what I may fail to consume. It is difficult to resist the relentless logic of consumption, which recognizing that mortality is inevitable, admonishes us all to “grab all the gusto we can.” Or at least finish “Remembrance of Things Past” before drawing our last breath at some distant day in our future. So I’m grateful that the biblical perspective is astonishingly contradictory. 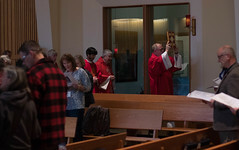 The psalmist writes, “Make us know the shortness of our life that we may gain wisdom of heart.” Throughout the scriptures and especially in the psalms, we are reminded of the brevity of our lives and the urgent necessity to repent and to steadfastly rely on the mercy, forgiveness and love of God, revealed to us in Jesus. In the iconography of the Christian West, we see this visually in the images of the saints depicting them at prayer with the Cross resting on a human skull. The “memento mori” or reminder of death may, at first glance, appear morbid or grimly life-denying. I don’t think that is the point. Rather, I think that these images invite us to ponder what meaning our lives possess apart from the mystery of Christ, who is, as St. Paul writes, “All in all.” Such images provide us with the opportunity to contemplate with gratitude how Jesus’s death and resurrection have redeemed the seemingly absurd and meaningless brevity of our lives, which was the despair of pagan antiquity and of our own increasingly post-Christian culture. The whole point, it seems to me, of growing older during the time that God has granted one to live, is precisely to grow in wisdom of heart. The first step is to acknowledge that every moment of our lives is a gift God has given us to be drawn more deeply into knowledge of the Divine Mystery. Because God is Love, to grow in wisdom is to grow in charity. I am learning that the primary task of this next stage in my life is to cling to the love of God by acting with charity while at the same time letting go of everything else. When my earthly life comes to an end, I want to have let go of my regrets and disappointments, found forgiveness for all my sins, especially my failures to love generously, and to have forgiven anyone who may have injured me along the way. 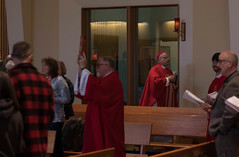 Doing so prepares the way for me to acknowledge with gratitude the life that has been given me so far and to welcome the daily opportunities the Lord will provide me in the future to draw closer to Him in prayer, contemplation and interior and exterior charity. So, sixty isn’t the new thirty. It isn’t even the new fifty. Rather, it really is the new sixty, with the emphasis on the new. This next decade of my life is a new land indeed, filled with opportunities to grow in the wisdom of the heart by growing closer in charity to God, who is Charity and who makes everything new.